Lisbonaire Apartments. We loved this place and would recommend to anyone who is planning to visit Lisbon. The prices ranged from 125-149 euros per night during the Easter weekend, one of the biggest tourist weekends of the year. I believe that their prices are usually even more reasonable than that. The location was perfect – 2 minute walk from the metro station, Restaudoroes, on the way in from the airport. One of Lisbon’s picturesque funiculars is located 1 minute walk from the Front Door and takes you up to the Mirodouro (Viewpoint) district with great restaurants. It is also a few minutes walk from the train station that takes you out to the Sintra Park with the amazing Pena Palace, Monseratte Palace, Quinta da Regaleiro with the Initiation Wells and incredibly beautiful gardens particularly around Easter time. You can walk down the big pedestrian street and to the main square on the river in about 15+ minutes. So, nothing is far away. There is no restaurant or breakfast at the Lisbonaire but you can stock the fridge or, if you want, you can go to any number of nearby places for breakfast – and, of course, for lunch/dinner. The local cafe is 2 minutes walk and has omelettes and pastries and coffee. Or you can sit outdoors at the Mirodouro outdoor cafe – about 5 minutes walk uphill – and take in the view. The concept of the apartments is that a group of Portuguese architects joined together to renovate a mid 20th-century building into 19 one-bedroom and studio apartments. Our studio apartment was large with a dining table, a lounge chair and a full kitchen. Everything in the building is by code – entrance door, room door, storage room door, safe, etc. So, no keys to carry! The building has a roof deck with a great view if you want to hang out there. The basement – about 2,000 square feet – is set up as a lounge with couches, pool table, kids play area, library and small gym. The drinks in the refrigerator are available to take – with a box to leave money per the honor system. They are listed on most of the major travel sites, including Travelocity where I reserved but going to their website is probably the easiest way to reserve. 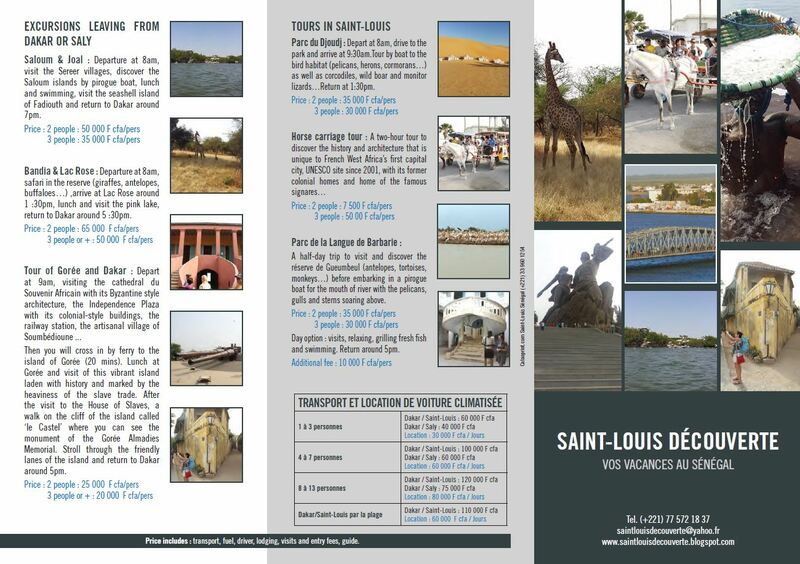 The Saloum Delta is one of Senegal’s most picturesque and biologically diverse areas, definitely worth a visit during your tour. 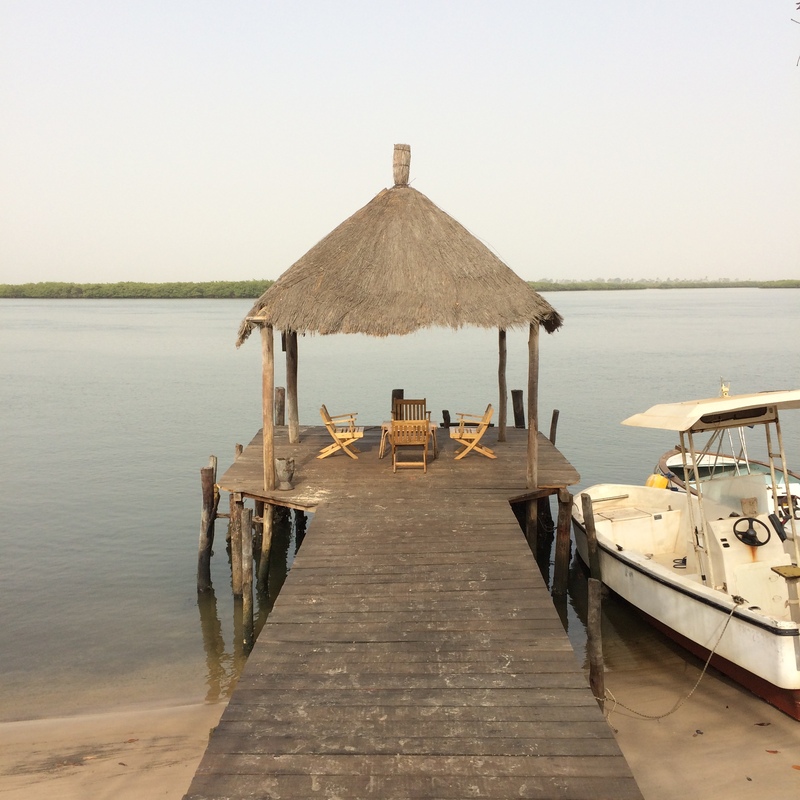 There are very few places on the delta that can beat Bazouk du Saloum for value and ease. The hotel itself is a series of simple bungalows; it’s neither too luxurious nor too rustic. The beds are simple, with mosquito nets and comfortable sheets. The bathrooms are small, but adequate. There is no hot water, but it is hardly missed. The ocean breeze keeps the rooms cool, but there are no air conditioners, so this might not be the best “hot-season” hotel. We went in March, and the weather was cool and perfect. There aren’t too many food options other than the hotel, so the full board (breakfast/lunch/dinner) is recommended. But the food was delicious! Lots of fresh seafood mixed for the main course and fresh fruit for dessert, each with a unique blend of traditional Senegalese flavors and unique modern combinations. For example, one dessert was a grapefruit custard; creamy and fresh, sweet with little bits of sour pulp. They have a full bar, and despite being far from the nearest grocery store, the prices were all very reasonable (1,000cfa for a 1.5 liter bottle of water; 9,000cfa for a bottle of wine; 1,500cfa for bottle of beer). There is plenty to do around the resort besides lounging. They have fishing poles and a dock that leads right over the salty water. There are kayaks and small boats. They can arrange fishing or bird watching tours. They also have a small beach area with fine, silty sand, perfect for building giant sand castles. They have a ping pong table and a trampoline for the kids. But maybe best of all are the hammocks and comfortable chairs strewn about the property, perfect for finishing your book or watching the current sweep the water to and from the ocean. Take the N1 south, passed Mbour, heading towards Fatick. Just passed the town of Thiadiay, make a right hand turn, and head towards Dangane. It is paved the whole way, dotted with villages. Except for the many speedbumps, it is a smooth ride the whole way and takes about two and a half hours from Dakar. Once you get to the end of the road, you be motioned to park on the side of the road by the guardian. This is where you’ll leave your car. You can pay him 1,000cfa per day for the privilege of hanging out with your car. The pirogue driver will meet you here, and help you to the boat (there are two boat times, 12noon and 5pm, though they will wait for you if you are running late). 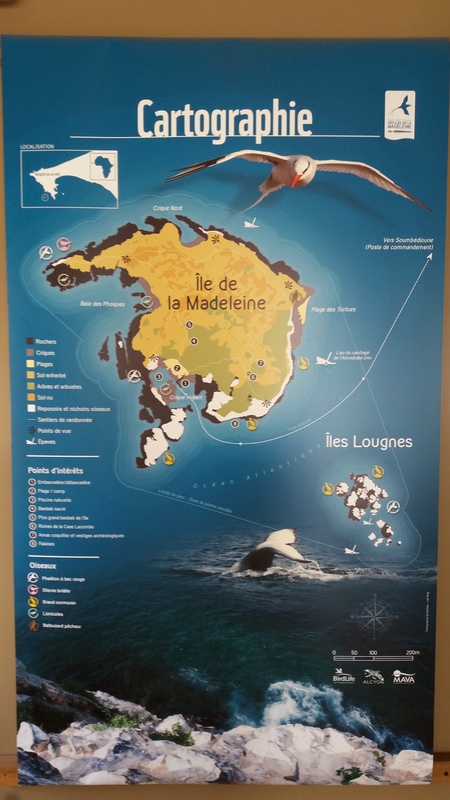 We wanted to share some updated information on how to visit Ile de Madeleine. 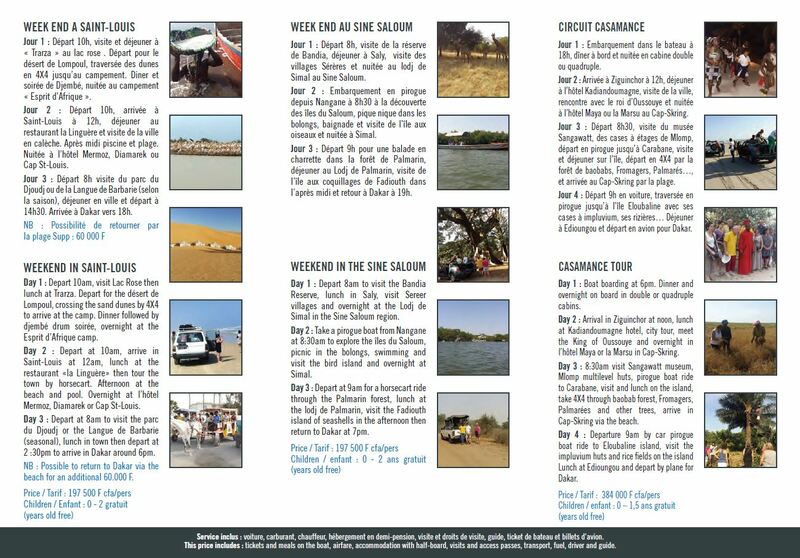 Three dads and four kids drove down to Saloum on a Saturday and spent the night in the mangroves, returning to Dakar the next day. 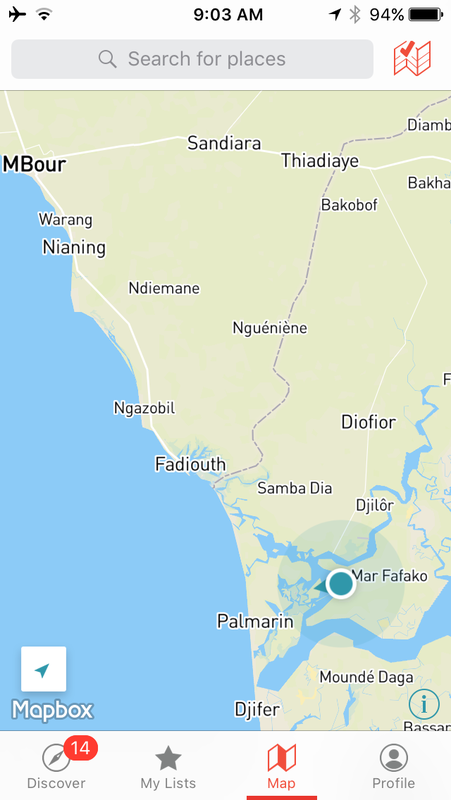 We left around noon, stopped for pizza, kudu burgers, and monkey-dodging at Bandia, and arrived at Palmarin Diakhanour around 4:30pm for our rendezvous with Pierre, our guide and host. He explained that food, water, tents, and bedding were already set up at the site, and that we should only bring what we needed in the way of clothes and toiletries. We still brought some sleeping bags, and those who did were glad for the warmth, but even those who used the provided sleeping bags were fine. If you like you can bring your own sleeping pad and bag, but keep in mind that there isn’t much room to transport extra gear in the kayaks. We were distributed as follows: one adult and one child in each of three double kayaks, with the fourth child and Pierre in another double that was towing a single with some gear. We weren’t sure what we’d need and ended up leaving a bunch of stuff in the cars. We probably should have left those two pillows as well. You are kayaking in a tidal estuary, and Pierre times the departure with the tide so that the current carries you gently to the campsite and then gently back to the cars. 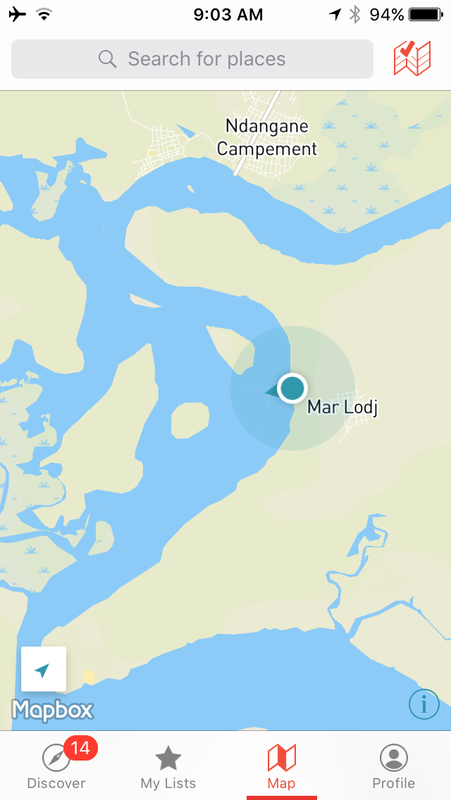 There is a bit of wrangling through 1 or 2 corridors in the mangroves, but all in all it is very easy, non-technical paddling made easier by the lack of wind and waves among the trees. You can make it even easier by giving the kids squirt guns instead of paddles so they can battle each other instead of spending the whole time dragging the boat to the right. And it will entertain the many herons, kingfishers, and other birds you will see. After less than an hour you round the bend and there is Laurent prepping the campsite on a high sand bar under a small acacia tree. Everyone gets a clean two-person tent with bedding, and we had two small collapsible picnic tables with stools seating eight for meals, with a cooler full of our choice of drinks. There is another tall booth-shaped tent set up as a toilet/changing station. There was no-one around us, nor any sign of human habitation except for faraway church bells the next morning. A dinner of sautéed shrimp, fish brochettes, and bread was prepared while the kids played in the sand/mud/fire, Pierre showed us how to splash phosphorescence in the water, we watched big crabs roaming the shallows, then many marshmallows were roasted and one by one we went to bed. There were no bugs, either in the evening or morning, but Pierre warned us that when the full-ish moon rose the biters would come and sure enough those who stayed up got immediately driven into the tents. Served them right. We had a quiet night broken only by a jackal serenade, woke up to a breakfast of baguettes and butter, hot drinks, and a hunting owl. Pierre only has hot water, but if you bring oatmeal, boiled eggs, and peanut butter you can make yourself a fine breakfast. We spent a lazy morning wandering around the flats spotting birds, playing too close to the fire, and watching the tide come in, which it does so fast you can watch the water flow up the bank. Pierre and Laurent expertly broke down the campsite and Laurent headed back on his own while we followed Pierre on a slightly different route that took us to a surprise stop that you can experience for yourself. Back to the staging area and the kids splashed around while the boats were put away, then we walked the short distance back to the cars, made use of Pierre’s nearby shower to rinse off, happily paid and promised a return, and got on the road to Dakar. 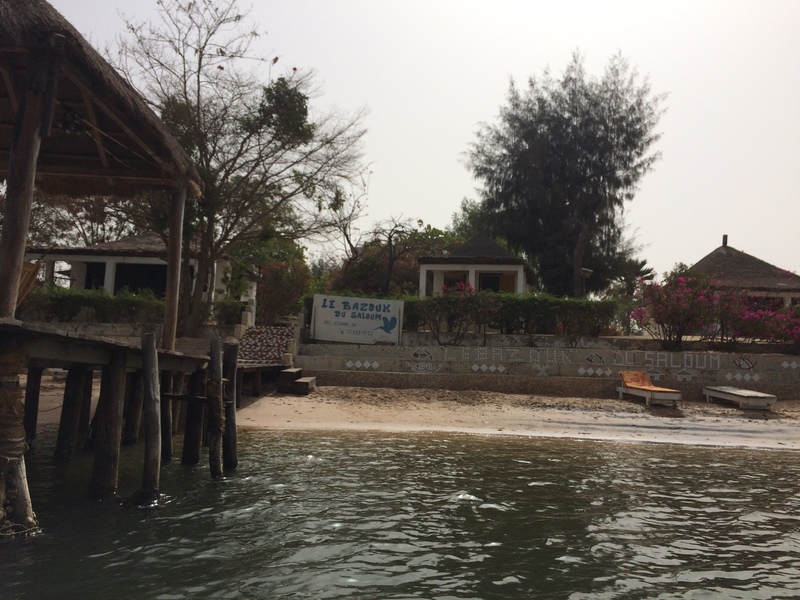 We took a slight detour to Joal Fadiouth, birthplace of Senegal’s first president, for lunch and wandering along the bridge that connects the village to the mainland, and were back home two and a half hours later. 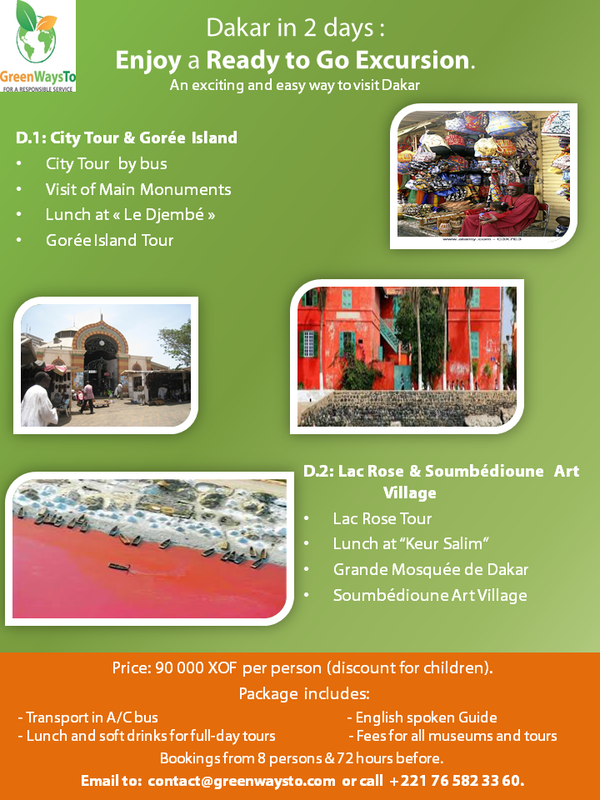 25,000CFA per adult, 15,000CFA per kid. We stayed at “De La Post Hotel” for two nights. Our room had two single beds and a small view of the bridge. Even though our room faced the main road we didn’t hear a ton of commotion. I would suggest bringing your own pillow. It was a little smelly, but other then that we enjoyed our stay. Breakfast was not included, but they offer a basket of assorted breads, plain yogurt, jams to add, orange, and an egg. Coffee, tea, or orange juice options for you as well. St. Louis is bringing in a lot of tourism from what I can tell. There are a number of restaurants to choose from. “Flamingo” restaurant was across the street. It seemed to be connected to our hotel. The food was good and the view was nice. Lunch was great too. We enjoyed the pizza (Very Italian) and dinner choices excellent. The cooks were great and food came in a reasonable amount of time. Wine selections were nice. Le Kora, another restaurant, is closed on Monday’s. Though I think it would be worth checkout out. We took a carriage ride around the island and surrounding village. 5,000cfa. The guys are everywhere so you can get one by walking to the street. You can have a guided tour in English or French. (two hour ride) The history lesson was nice, even a little funny. Singer sowing machines are made on the island. There is a mosque that was built to be a catholic church and has bells and a clock tower. Our tour guide said it was the only mosque in the world with a clock tower. The Rama Daiw shop is not far from our hotel. Definitely worth going in for a look. Some designs I had not seen in Dakar, but I don’t know much about the collection. Opens at 9:30- 10 am. Tess’s fabric was really cool to see. I believe she is a french woman. Around the corner from her shop is the “Factory”. 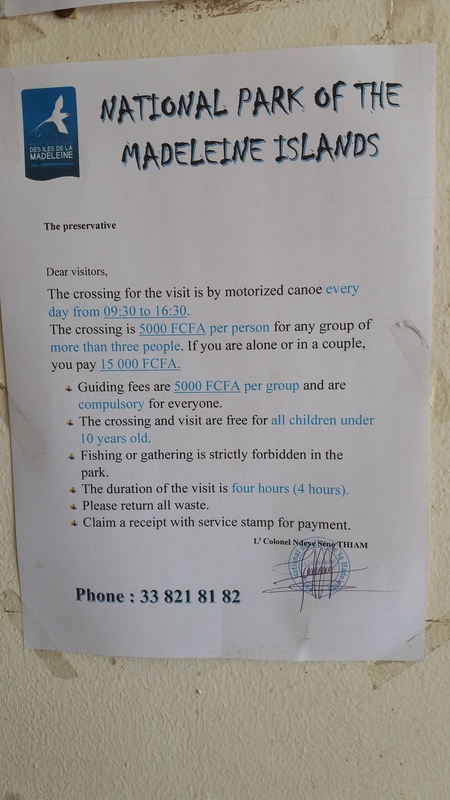 It is 500cfa to take a picture. But you can see them work. As far as I can tell there were only four men who worked there. You can have custom cloth made. Opens late around 3. The history of the fabric is interesting as well. The Jean Mermoz museum was cool. It’s in French and talks about the first flights from Europe to Africa and mail delivery. 1,500cfa to get in. There was a B&B with 4 rooms, the owner was kind to let us take a look and chat with us for a short time. You can go to his restaurant as well. I do not have the name. The Rose hotel was a brothel back in the day. It’s beautiful! Naked paintings everywhere, not sure my kids could handle that, but the rooms are nice and they have a restaurant on the roof. My friend and I walked across the bridge and went to the market. We got some nice fabric. 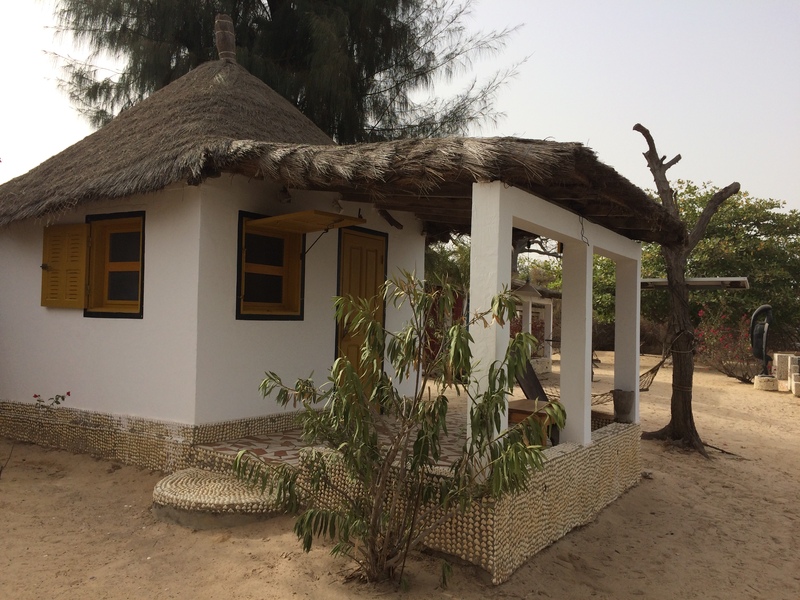 There are a few choices you can’t get here in Dakar, They bargained high at first, then settled quickly with prices in Dakar. Not a lot of begging and only a few people hounded us. Over all it was nice. The beaches are not clean enough to go to. I would stay in your hotel to swim. There are some nice galleries. Didn’t see sand art. Mostly high end art probably sold in Europe. Over all I think two nights is the most we would stay in St Louis. There are a lot of cool things to see and the moroccan influenced food is great! No really suitable for kids. Night life seemed more popular over day time activities.